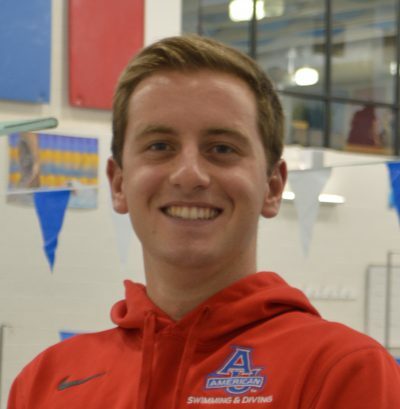 Auburn junior Zach Apple swam to a third place finish in a time of 1:31.18, which was nearly a full second drop from his lifetime best time coming into the meet. Apple talks about using his front-end speed and experience in the 50 free and 100 free events as a tool in the 200 distance. Apple also credits the confidence his coaches gave him to stretch his skills to the longer distance.